The chief justice wants tax to be imposed on mobile phone cards again but this time he wants the proceeds to be deposited in the dam fund. 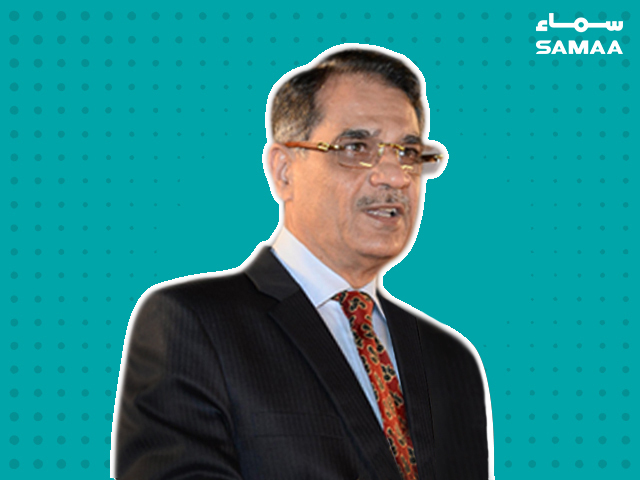 Chief Justice Saqib Nisar is currently in London to raise funds for the Supreme Court’s Diamer-Bhasha and Mohmand Dam Fund. Speaking at a fundraiser, he said that removing the withholding tax on pre-paid mobile phone cards had save people Rs3 billion a month. If the country is agreeable, we can re-impose the tax to raise money for the dam fund, he suggested. I will not advise that more taxes be imposed on the people, he said, adding that the people should decide whether the tax should be imposed again or not. He appealed to the people to tell him whether they should re-impose the tax or not. During an event organised by the UK-Pakistan Chamber of Commerce and Industries, Justice Nisar said that the dam fund had become a first not just in Pakistan’s history, but in humanity’s. We need $14 billion to construct the Diamer-Bhasha and Mohmand dams, he said. Speaking about the water shortage in Karachi, Justice Nisar said that people are not getting water because of the mafia and that it is being sold via water tankers. Residents are forced to purchase tankers for between Rs7,000 and Rs10,000, he lamented. A mafia is controlling the hydrants in Pakistan’s business hub, said Justice Nisar. There is no water in Sindh’s rivers and lakes, he said, adding that the mafia had sealed the bunds, causing a water shortage in Karachi. The top judge also said that they will have to make arrangements for the availability of water themselves. Dams should be constructed after every inch of the Indus River, he said. So much groundwater has been used that its levels have dropped and beneath that water is poison, he said. “Will we make children drink poison?” he asked. There is no alternative to water, he said. Speaking about the Kalabagh dam, he said that the four brothers – provinces — cannot reach a consensus. “If, after 40 years, a dam has still not been constructed, is it not criminal negligence?” he asked.